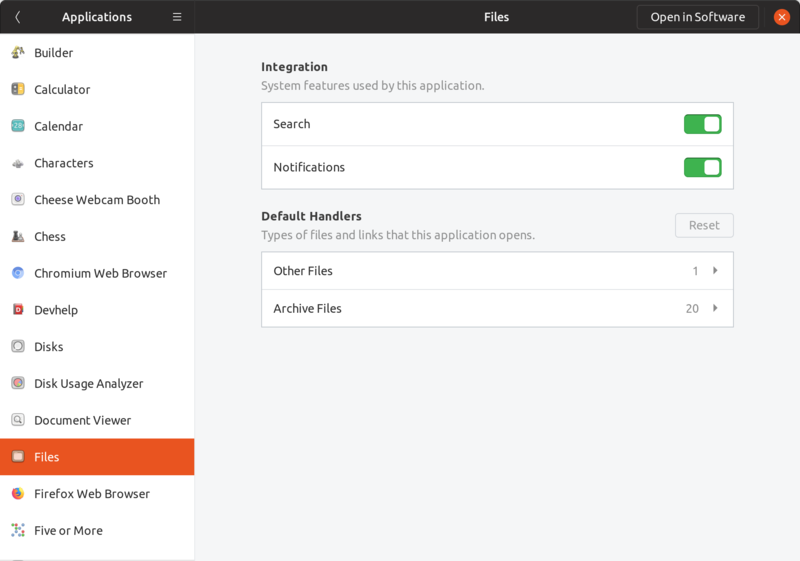 GNOME are developing a Settings panel which will have application permissions on it (most configurable for Flatpaks). How will this work on Ubuntu which has snaps by default and snap permissions are toggled Ubuntu Software? The GitLab Issue talks about portals which, if I recall correctly, snappy may support, so maybe snaps would show up on the panel after all? @mpt and @jbicha you commented on the GitLab Issue, any ideas (maybe the desktop team already knows what it’s doing with this (maybe nothing) but just thought I would ask)? I don’t think we’ve had the chance to evaluate the new Applications panel yet. Because the current implementation depends on libflatpak which isn’t in Ubuntu main, I don’t know if we’d be able to offer this panel in Ubuntu 19.04. But it’s a bit early to know for sure on that. 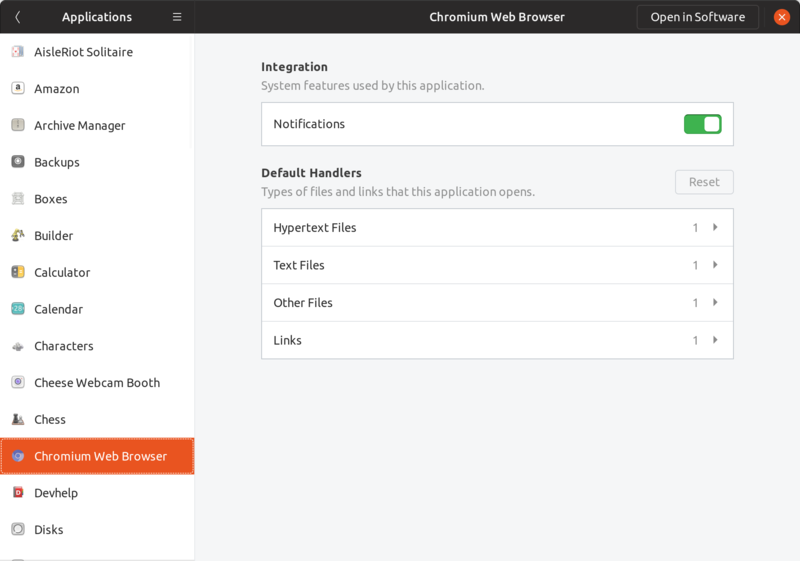 I love how for Files and Chromium you have choice to toggle off notifications. That is awesome. 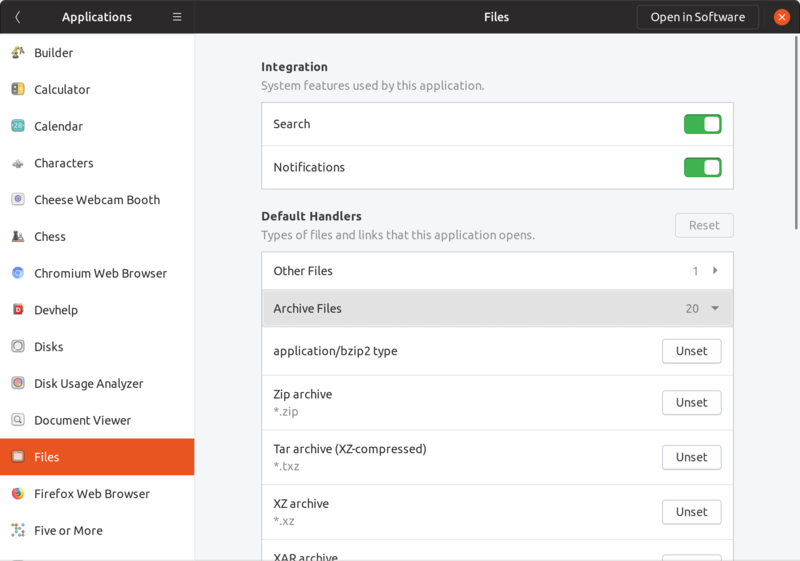 Is this something that will be added in future Ubuntu release? Got me thinking, is this Applications going to replace the current offering? Meaning, instead of having Notification, Search on their own, will Applications be where we can fine tune the permission we give (notification, search, location, etc.). You can already do that in the Notifications panel (which you kinda pointed out in your next comment). Is this Applications going to replace the current offering? Meaning, instead of having Notification, Search on their own, will Applications be where we can fine tune the permission we give (notification, search, location, etc.). I think a better way of thinking about is that you can set the permissions (or features) from both an app page and from a permission page. In other words, on the Cheese page you would have on/off switches for Camera, Notifications, and some sort of file access to at least the Pictures folder. 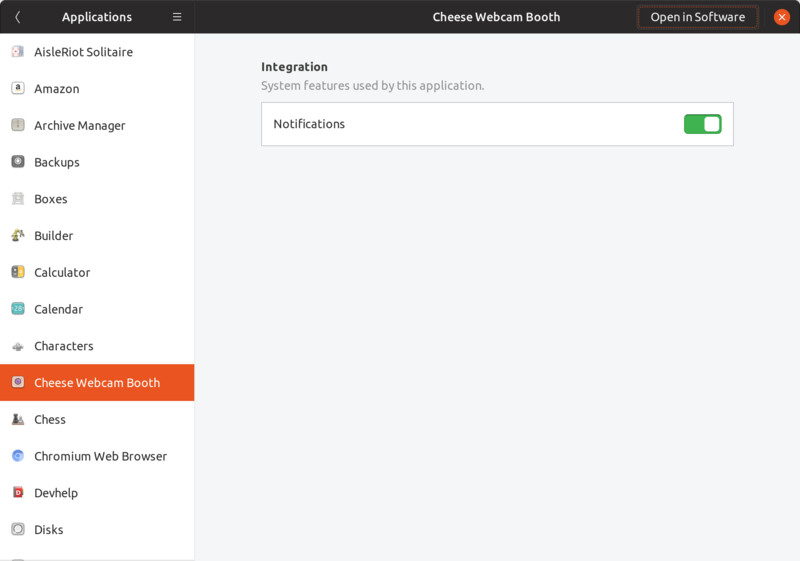 On the Camera page, you would have on/off switches for Cheese, Chromium, Firefox, Settings (to set your user profile). There are some mockups and discussion linked to or included in the Github issue mentioned in the first post here. This is still a work-in-progress and more development, design and reworking is needed. I don’t know if this will be ready for GNOME 3.32 or not.